Simple RESTful API that directly interfaces with the Veryfi neural networks – a document in, a JSON with data fields out. Simple. Add AI to your bookkeeping via the World Leading OCR and Capture API by Veryfi. Veryfi’s AI recognize printed text (OCR) and hand-printed text (ICR) on images, converts image, html and pdf documents to searchable PDF or editable Microsoft Office formats and extracts data from receipts, bills & invoices using Veryfi’s REST API. Turns unstructured photos, pdfs & emails into structured data that can be used for bookkeeping & business intelligence. Reads hand writing on receipts, bills and invoices eg. Tips & Totals. Automatically corrects image distortions like pin & barrel, detects blur & adjusts perspective issues allowing accurate data extraction. Veryfi Machine Models (field of AI) accurately categorizes (labels) processed documents based on your patterns. Veryfi’s Custom Camera for iOS & Android abstracts the complexity of pre-processing on the device with receipt detection & auto crop et al. No humans in loop. Data-privacy & security using MFA, biometrics, AES at rest and in transit, TLS 1.2 + GDPR, HIPAA, and CCPA compliant. Forget ‘your invoice is in the mail’. Just take a picture of the invoice and in seconds the bill is paid. That’s Snap2Pay using Veryfi’s API. Veryfi API + Mobile Custom Camera is currently being offered to prequalified companies. 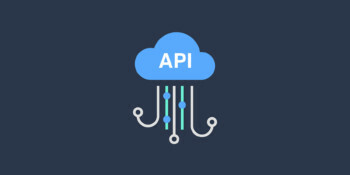 If you are interested in learning more and potentially getting access to this exciting offering then please let us know by Requesting Veryfi API Access (link below).